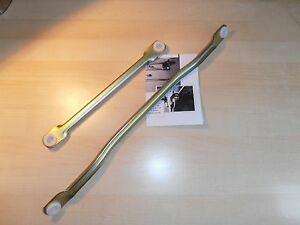 Details about Fit Nissan Micra (Today) K12 2002-10 New Wiper Motor Linkage rods Wipex Kit 52. Fit Nissan Micra (Today) K12 2002-10 New Wiper Motor Linkage rods Wipex Kit 52. Will usually dispatch within same working day if paid before 16:00 BST (excludes weekends and holidays). Expected dispatch time may vary and is based on seller's order cut-off time. Online orders will be sent out the day you order .Special Delivery delivered before 1pm .